We all cross our fingers for bluebird conditions when we go on a ski holiday: fresh powder and blue skies, so we can carve fresh tracks under the sunshine! But unfortunately, weather in the mountains is unpredictable, and you never know what kind of weather you’re going to find on your next trip to the Alps. It might be foggy, or sleeting sideways, or absolutely blizzarding. A fair-weather skier will tell you this is the reason they carefully check the weather forecast before stepping foot in a ski resort. But we don’t all have the luxury of booking last-minute ski holidays! 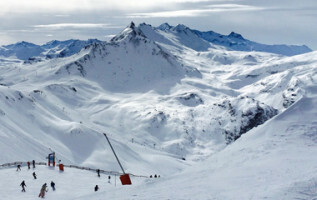 So, how do you make the best of a ski holiday despite the bad weather? 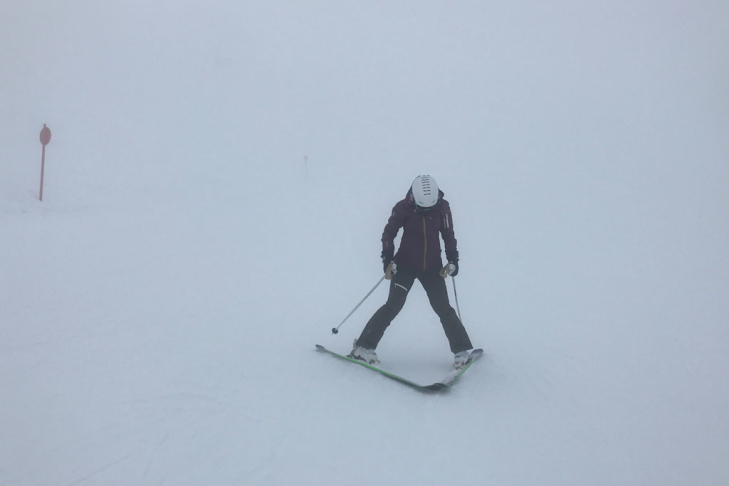 It’s no fun trying to ski when you can’t see properly. The right goggles can make all the difference to your day. Some goggle manufacturers offer goggles with dual lenses, so you can switch them out according to what the light is like. On bluebird days feel free to choose a darker lens to protect your eyes from the sun. But if it’s snowing or foggy outside, you’ll have better depth perception with lighter tints like the classic orange lenses. Layers, layers, layers. Skiers and snowboarders know that these sports comprise of whipping your clothes off after a steep mogul run, then bundling up on the freezing chairlift, then sweating all the way down the black run again and tearing all your clothes off, then bitterly regretting it when you board the lift again. Investing in a moisture-wicking base layer, a thermal mid-layer and a protective outer shell is your first step to being comfortable all day long. Check the weather forecast before dressing and be prepared to shed things like your extra gloves or your scarf if necessary. We’re all itching to get out on the slopes on a fresh powder day, but before you head out there, always be sure to check the weather forecast, the avalanche warnings and any other pertinent information from the local authorities, especially if you’re planning on venturing off-piste. If you have doubts, don’t hesitate to ask the lift workers directly. Too many people die in avalanches every year and it’s not worth it. Stay safe out there! Foggy? Snowing hard? We advise sticking below the tree line, which is sheltered from the elements and enjoys better visibility. 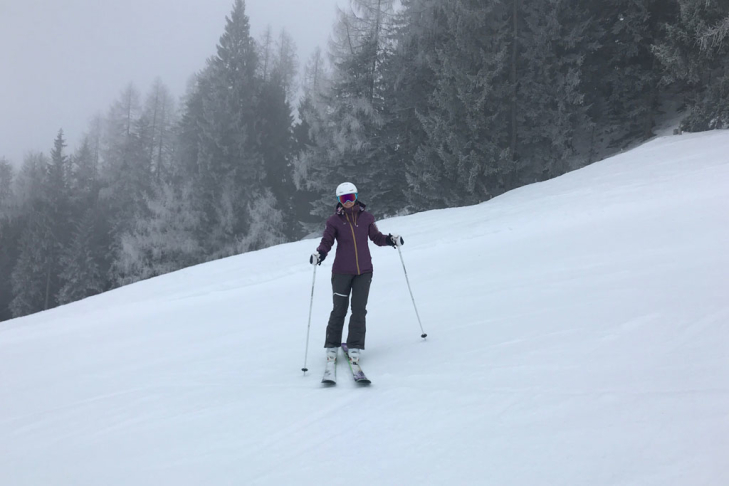 You also have less chance of getting lost – it can be hard to make out the signs when you can’t see past your mittens, but it’s pretty impossible to stray off the slope without noticing when you’re surrounded by trees on both sides! 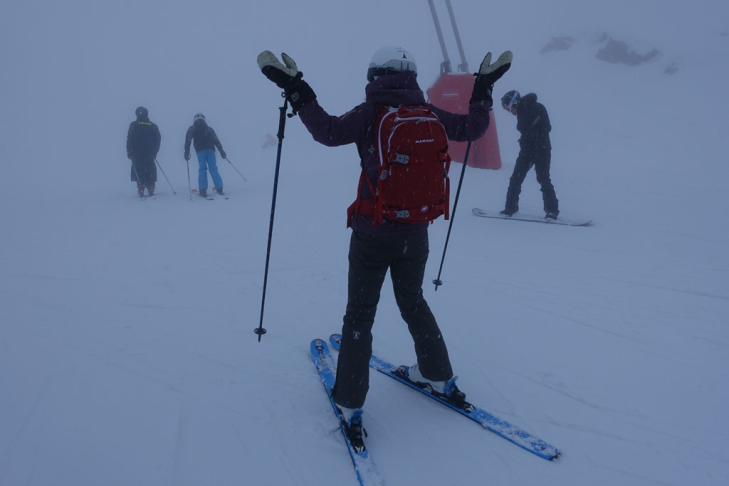 It’s more fun to ski in a group, and that was never more true than in inclement weather! You can keep tabs on each other and follow each others’ tracks. If you must split your group up, keep in touch and arrange regular meeting points. Is it just miserable outside? Sleeting sideways? Slopes shrouded in fog? Blizzarding so hard you can’t see? Are practically all the lifts closed due to high winds? 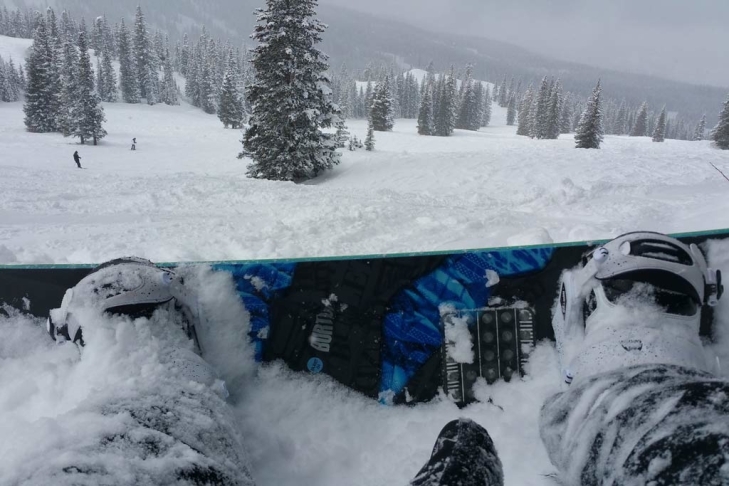 We hate to say it, but sometimes you have to cut your losses and look for non-skiing activities to fill your day. Practically all alpine ski resorts offer a multitude of options for precisely this kind of weather, so take your pick: ice skating? swimming? game night with the family? explore a local museum? Don’t stress, just make the best of your day. You can always ski tomorrow! Bad weather is the perfect excuse for taking an extra break or two during the day. 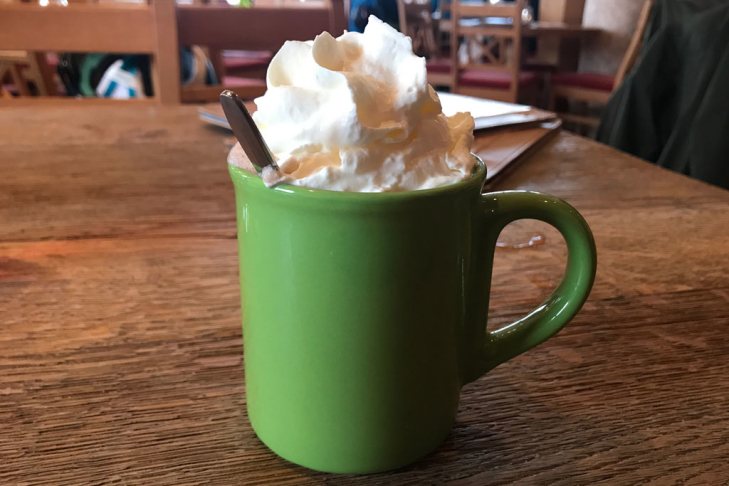 Step into a cosy mountain restaurant and treat yourself to a hot cocoa. Why not accompany it with a portion of apple strudel? Just an hour or two later, feel free to stop for lunch and indulge in one of the many alpine specialties. We recommend leaving the mulled wine for an après-ski treat at the end of the afternoon. Ski safe!